Seven games that last about 3 hours. Covers 12 teams automatically, more can be added. Can be run wet or dry, indoors or out. Ideal for small and medium events. A Children’s Interval Show session can be added. 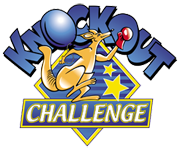 Includes The Kangaroo Dash & Widow Twanky costume dressing up games. Includes prizes & our comprehensive Information & Publicity Pack. Upgraded with new games and inflatables for 2019. Just over half the size of a football pitch of games. Six games use “running across” inflatables. Starting price covers up to 18 teams taking part. Extra teams can be added. Can last up to 4 hours with 18 teams if needed. Extra games can be added. Ideal for large events of 300 or more taking part. A football pitch sized area of colourful games. The starting price covers up to 36 teams taking part. Can be expanded to cater for 2,000 people. Lots of colourful inflatable obstacles used. More dressing up games, more fun! Ideal for Youth Activity Days. Knockout – but on a smaller scale. Starting price covers up to 8 teams of 8 taking part. The Wacky School Sports Day can be added. Various Packages To Suit Different Budgets. Excellent for numbers of 200 & over. More Inflatable based than our Adult Games. From 2 hours and up. Special needs can be accommodated.